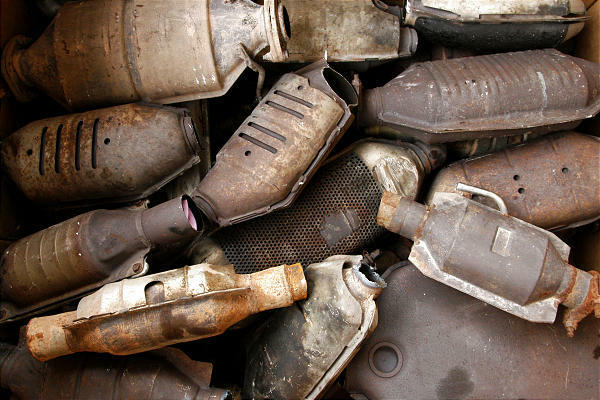 Catalytic converter thieves toured Lakeview overnight, according to two residents who contacted CWBChicago on Tuesday morning. Both readers reported seeing the car part thieves at work in separate locations and at different times—but their descriptions of the offenders are similar. Around 3:50 a.m., two men in hoodies got out of a black sedan in the 1400b lock of West Waveland and sawed the catalytic converter off of a Jeep, one reader said. Then, just after 6 a.m., another reader saw two men in hoodies get out of a black sedan and cut “something” off of a vehicle in the 3300 block of North Clifton. The two then fled westbound.